No. 170. O, merry hae I been teethin a heckle. Tune : Lord Breadalbine's March. Scots Musical Museum, 1790, No. 270. 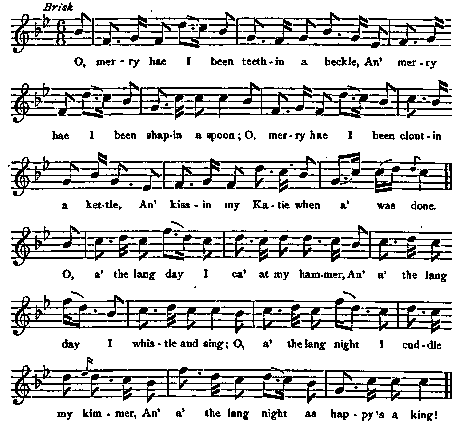 An' a' the lang night as happy's a king ! An' blest be the day I did it again !